Last year fans chanted "Eli's adopted" when star quarterback Peyton Manning's baby brother Eli Manning struggled on the field. Now he's New York's favorite son. 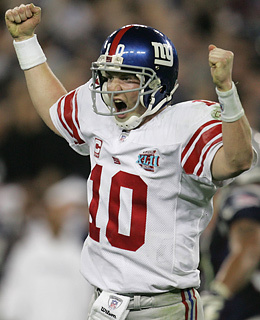 On Feb. 3, Manning led the Giants to a Super Bowl win over the New England Patriots, giving the brothers back-to-back titles.